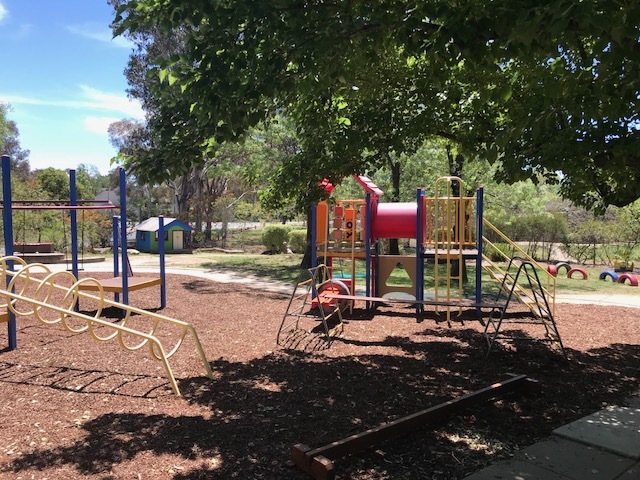 Curtin Primary School has two Preschool sites: Curtin North Preschool and Curtin South Preschool. The preschool teachers work collaboratively to plan experiences for the children using the Early Years Learning Framework to guide the planned and incidental learning for the children in each group. 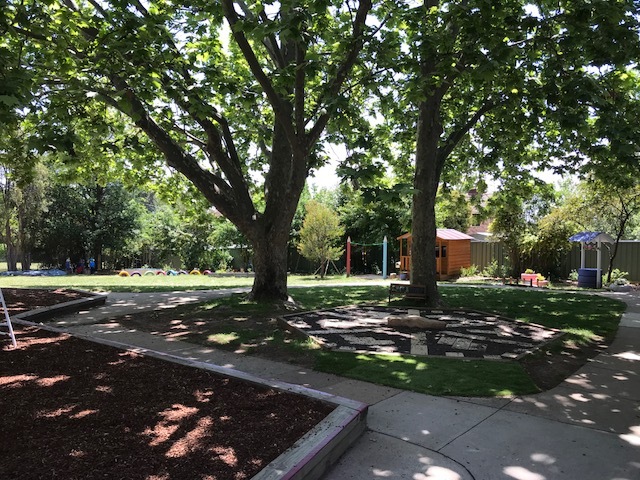 The preschool children are part of the wider Curtin Primary community and are involved in a number of opportunities to participate in shared learning experiences with their older peers. ensure that the interests, abilities and culture of every child and their family are understood, valued and respected. Family input and participation in preschool learning is valued and supported by educators. encourage children as active participants for sustainability, influencing the quality of life now and for future generations. Children are actively engaging in recycling through the daily routine at preschool: meal and play times provide organic opportunities for children to "sort rubbish" into waste, recycling, re-using and compost. This is an ongoing learning process throughout the preschool year and is carried through by educators at Curtin Primary School. respect the views and feelings of each child. Educators initiate warm, trusting and reciprocal relationships with children. Children and parents are welcomed at the door each morning by an educator and children are responded to in a positive and caring manner during interactions with educators at preschool. build on children's prior learning and experiences to build continuity for their learning and development. Each programmed experience may be continued over weeks or altered according to children's interests and engagement. Programming is based on the observed interests of children at preschool or anecdotes from home. use families' understanding of their children to support decision making about their child's learning. ensure that parents are welcome to comment on the Preschool program, including suggestions for their child's learning. communicate through formal and informal parent interviews (such as discussions at pick up and drop off). These may include anecdotes of children's interests and choices at home which can be documented and included in the program. provide families with information about their children's learning and development. Children's portfolios are available for parents to access at any time throughout the year. Portfolios may include anecdotal observations of their child at play, running records of dialogue between their child and peers are educators, art work and photos. Each child's portfolio is different and reflects the interests and choices of the individual child. acknowledge the significance of transitions within and across early childhood services and schools, and ensure that families understand the process and that children have an active role in preparing for these transitions. This includes orientation sessions in semester two with kindergarten classes as well as buddy sessions where preschool students walk over to our primary school and spend time with staff and students- building familiarity and connections through active participation. establish high expectations for all children's learning and development. invite children to take risks within their play: this may include creating challenging designs for their buildings, using fine materials for collage or painting, climbing on the equipment outdoors and learning new skills. It is important to educators that as children take risks they are supported and view their individual challenges as an opportunity to succeed. support children's learning and development through a combination of child-led and adult-led play based learning, as well as intentional teaching of specific skills. recognise that every child can learn, but some children require quite different opportunities and supports to do this. Educators recognise and value each child's individuality. Children with additional needs are supported according to their needs and plans for learning are developed. provide physical environments that support a range of opportunities for learning and physical activity, both indoors and outdoors. Educators encourage children to explore, solve problems, communicate, think, create and construct as they plan environments carefully to maximise children's interest and engagement. Educators do this by considering children's sense of autonomy at preschool and ensure the resources are stored in a child friendly way to support and extend children's play. support children to develop a sense of place, identity and a connection to the land through our outdoor environmental education program and ongoing environmental projects such as gardening, composting and recycling. build on children's interests, abilities, cultures and previous learning experiences to extend their thinking, learning and development. Educators use observation and documentation to assist in this process. gather information that supports, informs, assesses and enriches decision-making about appropriate professional practices including planned formal observations, fortnightly focus groups and skills checklists. continually develop our professional knowledge and skills to enable them to provide the best possible learning and development opportunities for all children through connections between Curtin North and Curtin South Preschool staff, the early childhood team, Primary school staff and professional conversations with colleagues . promote practices that have been shown to be successful in supporting children's learning and development including learning through play and assessment for learning. assess children's learning in ways that inform the educators' practice and use evidence to inform planning for early childhood experiences and practice.